As many of you know, cannabis businesses are faced with many roadblocks and hurdles, banking being one of them, but as California nears recreational cannabis in less than two months, it appears that we are a bit closer to potentially having a solution to our cash and banking crisis. Today, John Chiang, the California State Treasurer and the Cannabis Banking Working Group held a press conference to announce the release of their report on “Banking Access Strategies For Cannabis-Related Business.” The past year John Chiang and 18 representatives from the Cannabis Banking Working Group have gone up and down California meeting with over 50 expert panelists to discuss the issues and reviewing possible solutions for the industries banking issue. Before I go into the recommendations the Cannabis Banking Working Group presented, let’s review the past year. Although medical cannabis has been permitted in California for more than two decades, the production, distribution, sale, and possession of cannabis still remains illegal under federal law and is listed as a Schedule 1 controlled substance. This impacts legal California cannabis businesses from opening a business account, writing checks, accepting credit cards, transferring money and forces these businesses to deal with large amounts of cash. 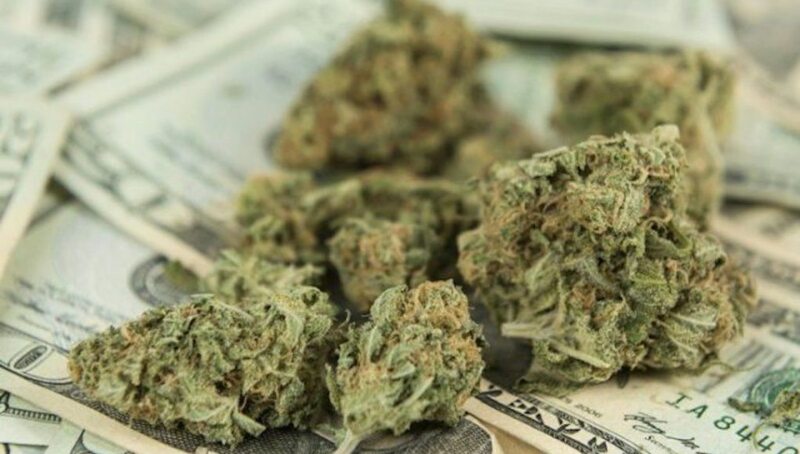 Outside of not having access to a bank account, this also has created a considerable safety concern against the safety of business owners and employees as they have to run there businesses strictly on a cash-based service and this matter doesn’t just affect cannabis businesses but state and local government agencies as well. Did you know: A few years ago in Southern California, a dispensary owner was kidnapped, tortured and manned after being driven into the desert in search of non-existent money. On top of safety, by not providing businesses with a banking solution many have stayed and will continue to stay underground, and it hinders them the opportunity to become a transparent, regulated, tax-paying business. John Chiang, as California’s State Treasurer saw these concerns and knew something had to be done, this is when the Cannabis Banking Working Group was created. These 18 representatives came from the cannabis industry, financial institutions, and government tax collection, law enforcement, and regulatory agencies came together and held over six public meetings around the state in the hopes that they would all be able to find a possible solution or recommendation to help deal with this cannabis banking problem. Kenneth Berke of Payqwick presented a possible solution at that meeting. Mr. Berke built out a sophisticated e-wallet that can go from processors to retailers and from consumers to retailers. They developed a fully compliant program and are working closely with Washington Liquor and Marijuana Board. In July 2017, the Cannabis Banking Working had its fourth meeting in San Diego, where they heard John Hudak, Deputy Director of the Center for Effective Public Management, who made an important statement,” the banking solution should be achieved for the 40 million California’s who for them this is a public health and public safety issue.” Hudak reminded the room that this isn’t just about business. It is important to make sure this industry can be tracked, traced, kept honest and regulated efficiently so that the individual knows exactly what product they are getting, where it came from, and that the tax money ends up in the treasurer where it belongs. Ali Fakhri of EventHi, an online event management platform specific to the cannabis industry, presented a possible solution at his panel. Mr. Fakhri and Sundie Seefried, CEO of Safe Harbor Private Bank publicly announced that EventHi and Safe Harbor Private Bank, a compliance-based cannabis banking program, which is a division of Partner Colorado Credit Union were officially working together, making EventHi one of the first California businesses to work with Safe Harbor. So that leads us to today, John Chiang presented a series of steps that they believe could point us in the right direction. However, although these measures are recommended the reality is there is no definitive solution to this cannabis banking issue until the federal government reschedules cannabis or Congress approves safe harbor legislation protecting financial institutions that serve cannabis businesses from federal penalties. To have state and local agencies contract armored couriers to pick up tax and fee payments in cash and deliver the funds to financial institutions. To have the state and local agencies create an online portal that aggregates data on cannabis business. The portal should be designed with financial institution compliance needs in mind and provide material to help institutions fulfill their know-your-customer responsibilities. This would entail California creating a state-backed financial institution in California that can serve cannabis businesses directly. A public institution that would either (1) finance public infrastructure and expand banking for underserved groups, including the cannabis industry; or (2) take deposits, make loans, and provide other services primarily to cannabis producers, distributors, retailers, and related businesses. This proposal is where an association is developed for cannabis-legal states, local governments, cannabis and financial service industries and law enforcement to advocate for changing federal laws. As we get closer and closer to 2018, although we don’t have an exact solution, it appears we are closer now more than ever, but the work doesn’t stop here. We all have to continue our roles as not just cannabis entrepreneurs but as advocates for this plant and this industry. And you can do so easily by joining a cannabis industry association, reaching out and speaking to government and city officials or by continuing to educate others on cannabis and the cannabis industry.